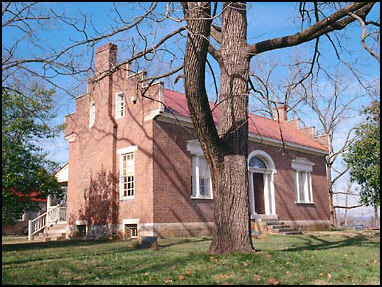 The Carter House, built in 1828, was at the center of fighting in the Battle of Franklin in 1864. One of the Carter sons, Captain Todd Carter, was severely wounded in battle and carried home to die. The Battle turned out to be a disastrous loss for the already diminished Confederates.